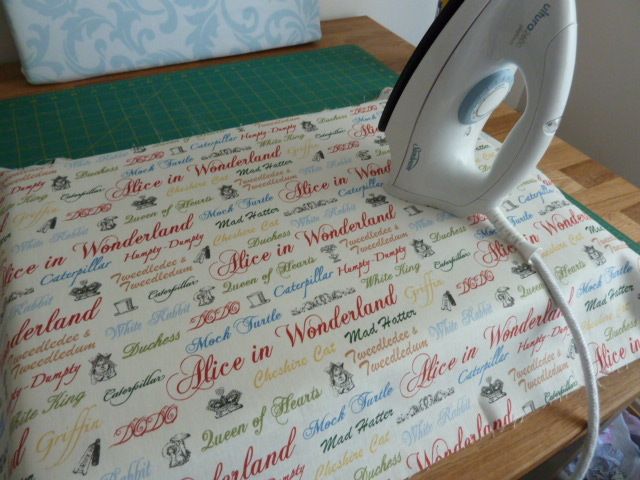 Today I decided to do a little upcycling. 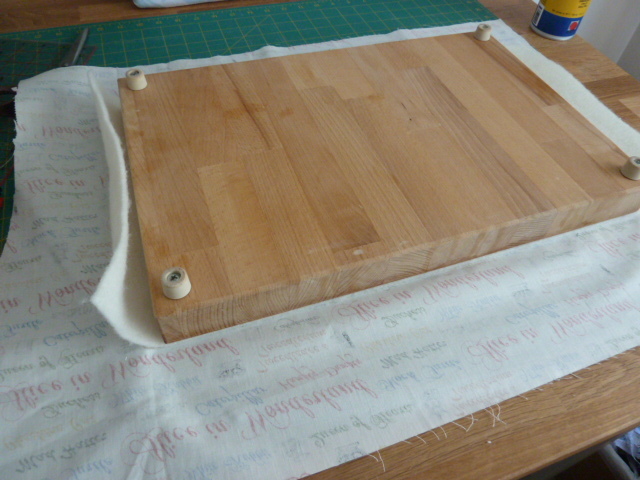 I used two old cutting boards, which were themselves made from off-cuts of my IKEA benchtops, and turned them into pressing boards. 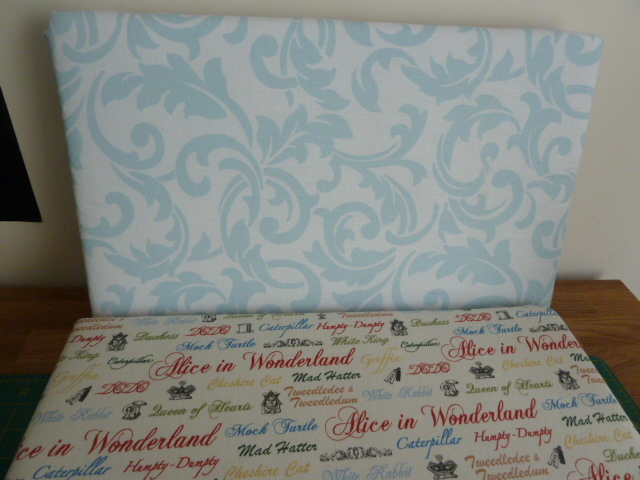 Then I decided to give my desk drawers a facelift. I’ve had them for 24 years so they’ve seen better days. I’ll show you the desk drawers in another post but for now here are my pressing boards. 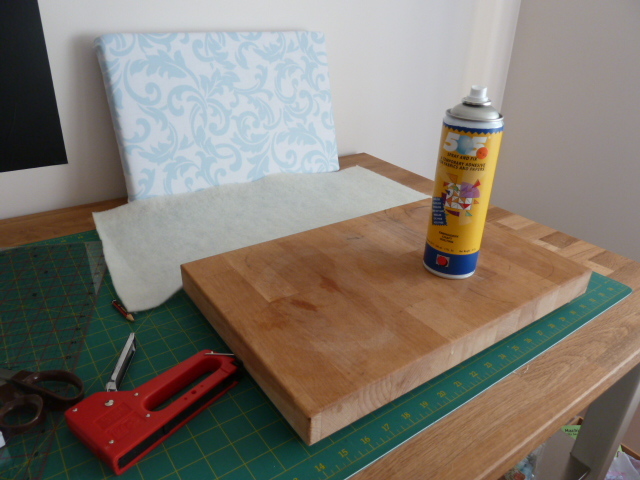 I have several off-cut chopping boards that I have oiled and have screwed little legs onto but these two were surplus to requirements. I started by giving them a good scrub in hot water and bleach and then I left them out in the sun to dry. 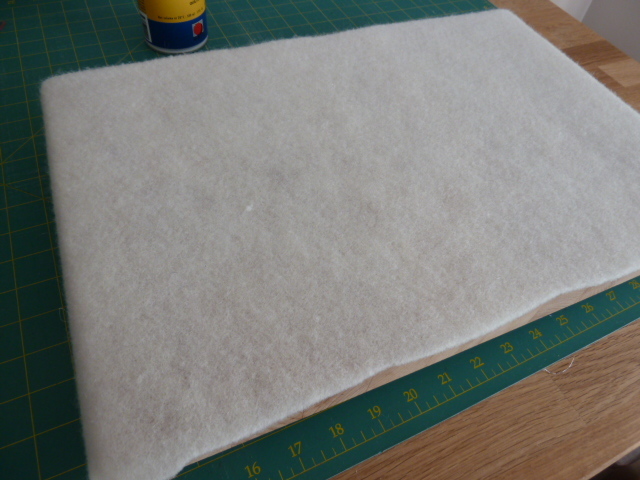 The next step was to use some off-cuts of batting – this one is 60% wool and 40% polyester. 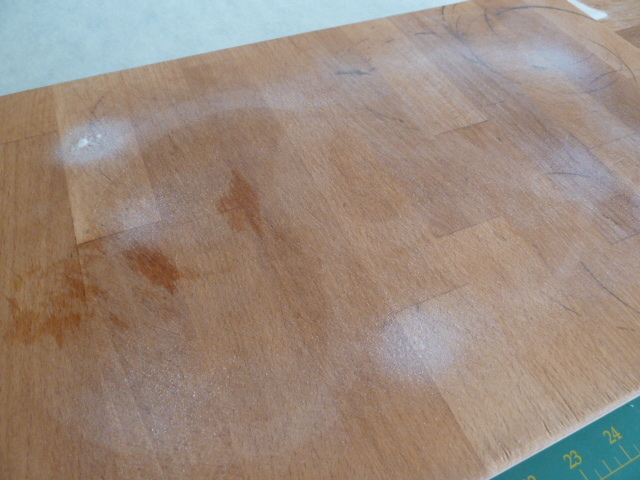 I sprayed the board with 505 Basting spray and then smoothed the batting over the board. 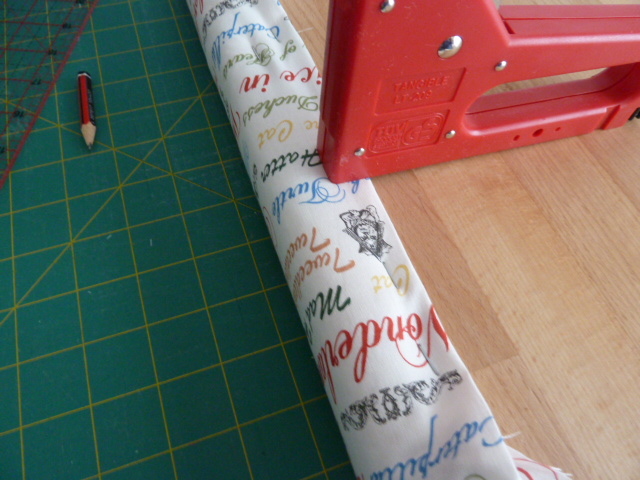 I cut the batting so that it would hang over the short edges but just sit nicely on the long ones. 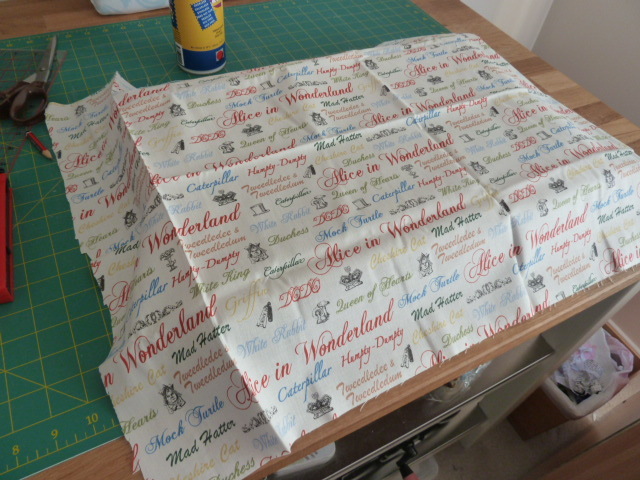 Then I spray basted the batting and smoothed the fabric over it. 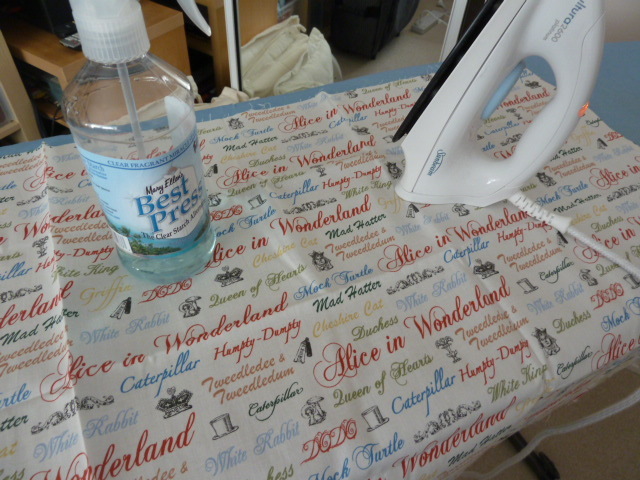 Then I took the iron and pressed it to make sure there were no wrinkles. 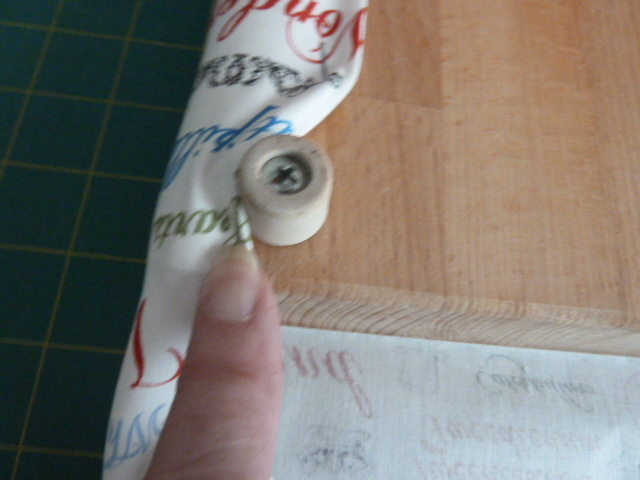 Once the fabric was securely basted and pressed I flipped the board over. 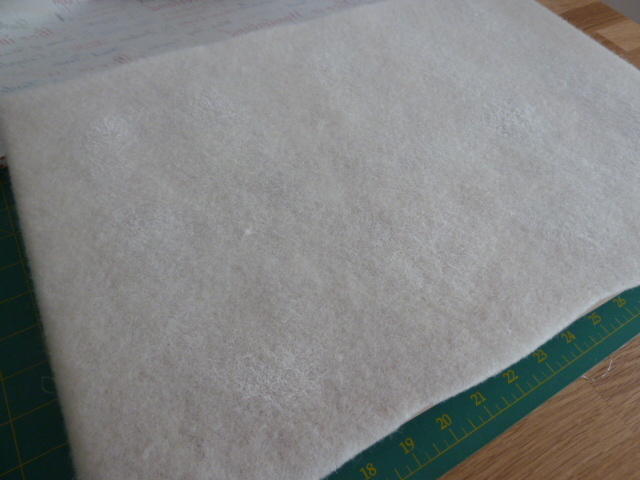 I then proceeded to fold over the fabric and batting and staple it to the board. I fiddled around a bit at the corners where the legs are but it looks all right. 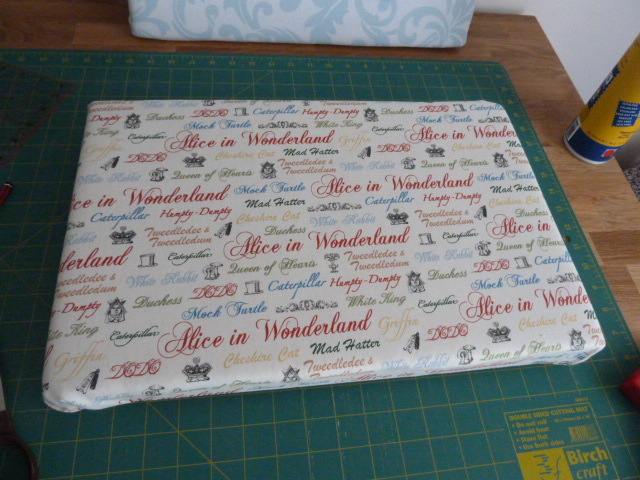 Because they are made from IKEA benchtops they are quite heavy which means they tend not to move when you’re using them and because they are not as soft as my ironing board, pressing is more efficient. 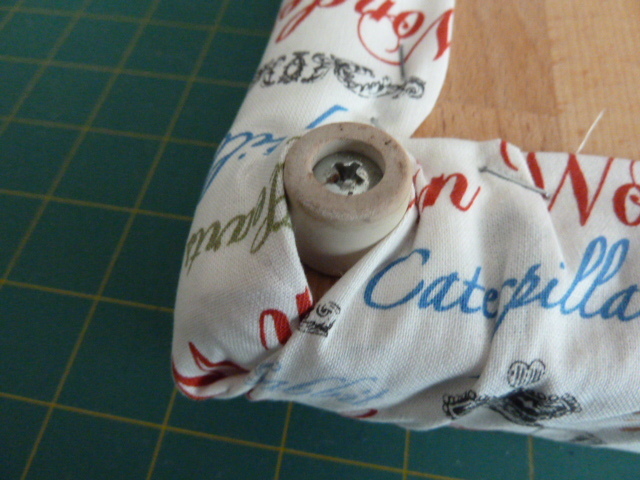 I plan to keep one beside the sewing machine and the other is a gift. Did you do anything crafty over Easter? Great job! I love the thought that these are so firm and sturdy! They will last a long time! What a nifty idea! And it looks good too!